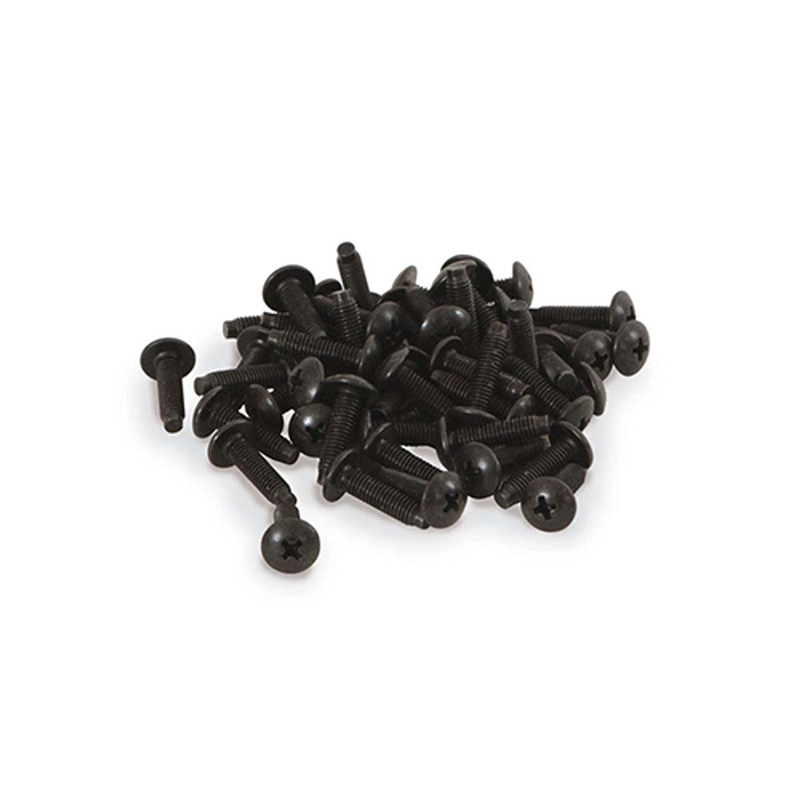 12-24 Rack Screws are 5/8 inches long with 12-24 threads with a phillips truss-head. Heat treated for strength and to resist head stripping. Black oxide. Sold individually or and in rackmount screws and hardware kits with cage nuts.